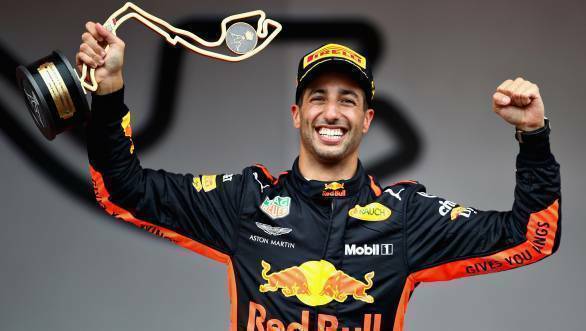 Daniel Ricciardo took a fine victory at the 2018 Monaco Grand Prix, his second of the 2018 Formula 1 season. The Australian driver, who started the race from pole, had to fend off attacks from Ferrari's Sebastian Vettel, as the power unit on his Red Bull Racing-Renault began to falter. 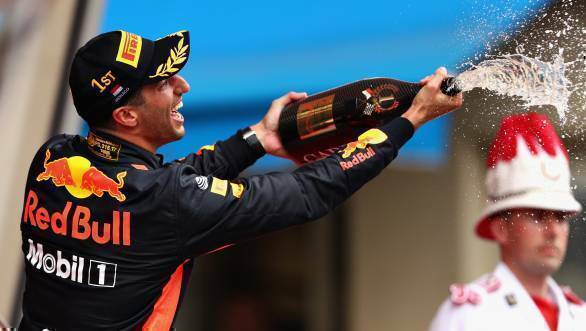 It was a fine win for Ricciardo, one that marks him, according to defending champion Lewis Hamilton, as the third man in the fight for the 2018 world championship title. It also helped Ricciardo put behind him the unfortunate incident at the 2016 Monaco Grand Prix, where, despite being on pole, he wasn't able to achieve victory (his pit crew didn't have tyres ready for him when he showed up for his pit stop). 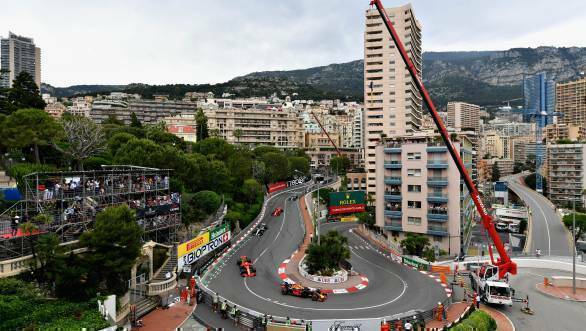 The win at the 2018 Monaco GP was also Ricciardo's seventh Formula 1 victory. Ricciardo, who started from the head of the sharp end of the grid, ended up leading through the opening stint of the race. The order at the head of the pack remained largely unchanged over the first section, with Ricciardo leading from Vettel and Hamilton. In fact it was Hamilton who was the first of the drivers to come into the pits, switching to the Ultrasoft tyre, while Vettel followed into the pits four laps later. Ricciardo came into the pits one lap after Vettel to ensure that Ferrari wasn't able to get the better of the Red Bull. Fortunately, it worked, with Ricciardo able to retain his lead. All of the frontrunners were running on Ultrasoft tyres, which they hoped would take them till the end of the race. Unfortunately for Ricciardo, the power unit on his car had begun to have a problem, which meant that Vettel was able to close the gap to him. Red Bull told their driver that there was nothing that could be done to fix the issue, which meant that he'd have to stay calm, drive smoothly, and keep his sights firmly set on that chequered flag. It meant that Vettel was able to get quite close to the leader, but eventually he had to settle for second place. This meant that Ricciardo had the buffer he needed to cross the chequered flag first, with Vettel second, and Hamilton third. Fourth place went to Raikkonen, while Valtteri Bottas took fifth place. Esteban Ocon finished sixth for Force India, while Toro Rosso's Pierre Gasly took seventh. Nico Hulkenberg took eighth place for Renault, while Max Verstappen, having started last, managed to end ninth. Carlos Sainz Jr rounded off the top 10.